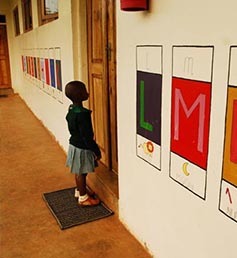 The CNCC community is highly-motivated and organized to ensure that the needs of the children under our care are met to the very best of our ability and the facilities are designed to assist this mission. The Centre is a registered trusteeship under the laws of the United Republic of Tanzania, with a Board of Trustees composed of the founder Mr Shirima as Chairman and 6 other trustees with a wealth of business experience that meets several times a year to review the Centre’s performance. 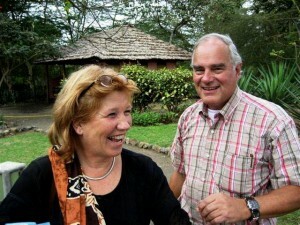 A Foundation set up in the Netherlands, which is an important partner in the operation of the Centre, has supported a number of projects since 2005, and Dr. Pieter de Haas and his wife Olga, who established the Foundation, have been valuable resource people at the Centre since its establishment A manager/coordinator provides administrative support to the Sister in Charge of the Ursuline nuns at the Centre who has responsibility for day to day operational management. She supervises around 12 nuns and up to 17 general workers from drivers to cooks to cleaners and security guards. Water is supplied through 2 boreholes and a back-up generator is available. Solar hot water heaters are used. With the assistance of the Dutch Foundation and other donors, projects such as the vegetable garden, livestock housing (for cows, chickens and donkeys), a fish-pond and a biogas plant all assist in contributing to the welfare of the children. A system has been provided to supply water to the local community in times of water shortage.